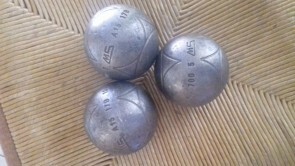 Low price petanque balls ! Good deals ! The good deals place ! It's the incourtounable category for who is in research for best promotions. Find here our second-hand balls, new balls already personalised ou three-balls repackage. Good quality products with best price !